Now that the RTF Word document of your book is ready, it's time to upload and publish! First, go to amazon.com home page. On the left hand side check out the menus. Under the one marked "Features and Services," hit the "publish on Kindle" tab. You'll be taken to a page marked Amazon Kindle's Publishing Program. Hit the tab for "Digital Text Platform (DTP)." On the right top of the page is the sign in button. Hit it and/or change the ID to the one you want to use for Kindle pubbing. On the next page, there are several tabs at the top. Start by completing your account information ("My Account"). Next, go to "My Shelf." Hit the "new book" tab. There are four areas you'll need to complete before you can publish your book on Kindle. The first one, "Product Details," is straightforward. You have to put in a 4000 character description of your book, which is in the range of 600-650 words. For mine I did the back cover description, a brief author bio, and 3 endorsements. NOTE: the description was run together without paragraph breaks for my print book listing. Therefore before publishing this one on kindle, I divided the sections by putting an asterisk after each part. Also, make sure that every period has a space after it. You'll be OK then if you end up with one big text block. The second section, "Confirm Content Rights," simply affirms that you have the rights to this manuscript to publish it. The third section, "Upload and Preview," is where you upload your beautifully formatted RTF file. Go for it. When it's finished (it took me about 5 minutes), take a look at the preview, and check it carefully. If you notice something glitchy, figure out why and fix it in your manuscript, then reupload your manuscript. I did this about 4 times before I was completely happy. Finally, in section four, "Enter Suggested Retail Price," you put down what you want to charge. I already discussed viral (free) e-books in part one, but unfortunately you can't do this on Kindle since the minimum price you can charge is $1. NYTimes bestsellers go for about $10. Check out the prices and figure out what you want to charge. For what it's worth, I chose $4.99 but have no data yet to see if that was a good judgment call. I figure, I can always change it. And there you go! When you are completely, 100% happy with what you have (especially the preview), hit the publish button. If you have any questions or problems with listing on amazon, rotsa ruck -- when I had my print book put up, I found it notoriously difficult to have amazon resolve problems in the listing. The bad part is they don't have phone numbers easily available, so you'll drive yourself batty sending an email and getting a canned response that doesn't really address the problem. Still, if you're persistent, eventually you should be able to get someone to pay attention. 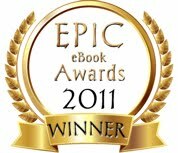 Amazon has a special email for the kindle: dtp-feedback@amazon.com. You also can email the Digital Rights people -- they normally aren't involved for indie publishers, but it doesn't hurt: digitalrights@amazon.com. It'll take a few days (for me it's been about a week and it's still not up) for amazon to process your ebook and actually put it on the site so that it can be purchased. In the meantime, you've done a great job! Now, get back to writing the NEXT Great American Novel. Today I'll be going over putting the final touches into formatting your manuscript for Kindle: the cover image, front matter, back matter, and illustrations. Actually, let me take these in reverse order, from easiest to most difficult. ILLUSTRATIONS: The DTP of the Kindle does not do illustrations well. One or two may be fine, but the more and more complex they are, the iffier the results. Also, the Kindle only displays in black and white. I'd suggest that you either get rid of the illustrations, or use the HTML platform to format your book. BACK MATTER: This includes things like an author's note, resources for more study, historical context, citations, or anything else that belongs after the main text is finished. To do these, simply format as you did the body of the book: put a page break after "~The End~" and between each section, then justify and format the text. One thing to be aware of for the Kindle is that the user can alter the size of the displayed text, so you therefore don't want to have too many lines on each page unless you don't care how they might be broken. If there are different sections on one page you may want to break between each one with a page break. For example, I had a "Point/Counterpoint" page that I broke into two. FRONT MATTER: open any book you have on your shelf to look at the front matter. Since you're doing a Kindle you don't need as many pages, but you DO need to include the important information. The first page after your cover illustration should be a title page, showing your TITLE (line break) by -or- A Novel (in italics) (line break) your name. You'll also need a year copyright date, all rights reserved notice, publisher (if you have one), and print ISBN if you have one. The formatting is similar to the body. For my title, I did A LEVER LONG ENOUGH in all bolded caps and made the first letter of each word 26 font, the other letters 24 font (remember, the DTP isn't good with fancy formatting so I couldn't do "small caps" under the format options). "A Novel" is 22 font plain, and my name Amy Deardon is 26 font plain. Next, since I have a publishing icon I did a quick image of icon plus the text for publisher, city and state, and pasted it below my name. I finished with the copyright, print ISBN, and publisher website. The next page I did was the back cover copy of the book. One of the hardest things to do is start a book while knowing NOTHING about it except a cover image and maybe a blurb "great book!" (I see this with self-pubbed books, and gosh it annoys me!). Since there is no back cover on a Kindle book, you need to put it here. The next page I gave my author bio and then a notice that Lever is the 2009 Pluto award winner. The next page I put an abbreviated list of endorsements (9 of them, spread over 3 pages which I figured was enough without being annoying). The next page I put an acknowledgement to three gentlemen who especially helped me with the accuracy of this book. The next page I wrote, "To my family and dear friends" in centered 16 italics font. The next page is chapter one, into the body of the manuscript. I tried to keep the front matter from being too long/tedious, yet still giving enough information that the person reading the book feels confident that this is worth his time (the author said hopefully...). For this reason I removed another 4 or so endorsements, as well as the two Kindle pages it would take for my individual thanks (husband, children, sisters, their husbands, friends etc.). COVER ILLUSTRATION: As I mentioned, the Kindle only displays in black and white. Nevertheless, it's still a good idea to make your first page a cover image, since it looks professional. You can use any image you want, provided you have the rights or a license to use it, or it's in the free domain. Some web sites with stock photos available for free or low cost include istockphoto.com, photobucket.com, photoshopsupport.com/resources/stock-photos.html, and sxc.hu. NOTE: I haven't used any of these sites but have heard they are good. On your cover image, make sure that your book title and author name appear prominently, just like a print book cover. You want to make sure that the image file isn't too big (straddles pages) or it won't load -- so if you try to upload your finished manuscript file with your image to amazon and it won't after about a half hour, try reducing the image file size. Your cover image should be about 3" by 5" or so, and not smaller than 500 pixels on the longest side, with a dpi resolution of 300. The jpeg file name should contain only lower case letters with no spaces. For example, I named my cover image file aleverlongenough.jpg, and then inserted it into my Word document (look under the "insert" menu for the picture icon). I just used the regular color jpeg of my book and found that it looked fine in the preview, so it's worth a try if you only have a color image. Finally, make sure the image is centered, and put in a page break right after it. On Friday I'll be talking about how to set up an account and actually upload your book onto the amazon site. NOTE: The formatting discussed in this blog entry and the previous one were largely adapted from the e-book OUT STANDING IN THE FIELD: The Indie Author’s Two-Step Guide To Publishing In the Kindle Store, by Free Press Publications. It's available free on Smashwords HERE. The Kindle only accepts a completed manuscript, not a partial, so you need to have finished your book. If you've done this, the next step is to format your manuscript for the Kindle. Amazon has now installed a Digital Text Platform (DTP) that converts a Word file into the HTML-formatted thingy that gets downloaded. If you use this (easy method) you'll need to preview your manuscript before pubbing it, since the DTP can be glitchy. If you find your preview ISN'T right, just reformat the problem in your manuscript, reload your manuscript onto the site, re-preview it, and you should be OK.
BTW Amazon also has an application for computer geeks that works directly with the HTML, but I didn't use it so can't comment on it. I imagine it gives you a little more control and allows you to do fancier things, but really the DTP worked just fine to give me a totally satisfactory kindle book. Today I'll be covering formatting of the body of your manuscript. The fancy doodahs -- cover image, front matter and back matter we'll do on Wednesday. Remember that your formatting should look like the formatting for a book, not a manuscript to be evaluated by an editor or agent. Also, BTW this IS considered publishing, so if you're trying to submit this manuscript to editors and/or agents for traditional pubbing, you shouldn't put it on kindle. OK, so open your Word document and save a new copy in an RTF format. This needs to be a single document with all of your chapters, not a single chapter document. The first thing I did was reformat the margins to give me an approximation of what the text might look like on kindle, although of course this won't show once it's downloaded. I used an "A5" paper size which is 5.83" x 8.27" (check your page layout options), then made the margins 3/4 inch on the sides and 1 inch top and bottom. NOTE: Although it's helpful, you DO NOT HAVE TO reformat your margins! This is only to give you a better visual idea of what your text may look like on the Kindle. Once you have your margins, remove all hard (tab) indents, and all hard returns except at the ends of paragraphs. If you want to visualize where they are in your manuscript to make it easier to find them, turn on the "view formatting marks" option. If you don't know where this option is, hit the F1 key and type in "format symbols" or "format marks" to find out how to display them. Do the indents through the ruler at the top of the page -- move the top triangle over about half an inch. Next, select all the text in your document and make it 12 point single spaced. (We'll dress up selected aspects in a few moments). Also, use the same boring serif font for all of your text -- Times New Roman or Garamond. These are the fonts that do best in a book anyway, so don't feel like this is a second-rate choice with the DTP. Don't try tricky fonts, symbols, or fancy formatting (anything beyond bold, italics, and centering text), since the DTP may not be able to convert these. Well, you can try them and then see how they come out on your preview, but don't hold your breath that they'll work. Sad, I know. Also, make sure that you don't have a blank line between paragraphs, either through two hard returns or through the automatic formatting if you have the new Word (like I do). To take these out of the new Word, first make sure all your text is still selected, then under the Home key at the top, look under the "Paragraph" section. The fifth box with lines shows a box with two arrows pointing up and down. Hit that one. At the bottom of this arrow hit the "remove space from..." tab. You will not need headers and footers either. Eliminate these from your document. (NOTE: just leaving in blank lines in the header or footer is not sufficient -- get rid of these in the formatting). Justify all of your text in the document instead of using the ragged right edges. Next, you'll need to format each chapter. For each chapter heading line, remove that indent on the ruler above the document so that it is flush with the left side. Then, center "Chapter One" or "1" or whatever you're using for your chapter headings, and make it "20 point" and "bold" (or other formatting if you desire). Do a hard return after this. Your text starts on the next line. (NOTE: for all centering, including in your text body, always eliminate the indent on the ruler so that the line is flush left). At the end of chapter one, insert a page break. Do this even if your text ends on the last line of the page and this adds a blank page to your manuscript. Remember, the formatting YOU see is not the formatting the Kindle sees. Go through your manuscript to finish all of the chapter headings. At the end of the final chapter, put in a hard return, then center ~THE END~ in 16 point text. If you have offset passages of your text -- for example a letter that your heroine reads -- center this text and italicize it, or otherwise format it so that it looks good to you. Again, no fancy fonts. I think this should do it for today. If you have any questions, just leave a comment and I'll answer it if I can. Soon after Lever came out, I asked a company if they might be able to convert my book into a Kindle edition since I knew there were strict requirements of HTML formatting, special features, etc. The representative told me they could do it for $35 -- not so bad -- but they'd also take 35% of the retail price for each sale. Well, since Amazon only PAYS 35% of retail as a royalty for the book, I figured, no thank you. Other (small) publishers I talked with also didn't know how to do Kindle. Life went on with busy things, and I didn't continue to pursue this. Until now! I'm happy to say that I've just published A Lever Long Enough in a Kindle format. I did this myself, learning how through a fortuitous mention on a writer's loop and a follow-up question, followed by a little bit of research -- Amazon has worked to make Kindle formatting more accessible to small- and self-publishers, even individuals, so if you have a book you'd like to offer for sale on Kindle, and you have the rights, well, now it's pretty easy. I'm sure there are other summaries like this out there, but figure maybe this will be useful also. I'm going to spread this topic over a few blog entries since there's enough information that I can't do it in one go. For today, the first question you might want to ask yourself is if you really want to do Kindle. On the positive side, it costs nothing to list your book, and amazon automatically retails your sales and deposits the money directly into your account. A downside is that amazon does not pay into Paypal accounts, only checking accounts, so to create an account you need to provide your name, checking account number, and social security number or EIN. Also, remember that any manuscript on Kindle is considered PUBLISHED so if you're trying to find an agent or editor for your work to traditionally publish, you don't want to put it on Kindle. You also have to realize that (surprise) as a self-publisher you are working at a disadvantage to traditional publishers, since you MUST charge at least $0.99 for your book to download. This may seem counterintuitive, but charging money may ultimately make your book less financially productive -- at least by the theory that having your book go viral (where it gets into the hands of as many people as possible) leads to more sales. This strategy is according to marketing guru John Kremer who has recently opened two free ebook sites for fiction HERE and nonfiction HERE. I don't know myself. The point is, though, that if you DO want to try the viral strategy here, you can't. Furthermore, since there are many free ebooks from Kindle already from traditional publishers, you can't compete. But let's not moan about things that can't be changed. Another thing you need to know, as mentioned above, is that you get 35% of the sale price of each book. Amazon of course reserves the right to change prices and offer discounts etc., but I wouldn't count on their doing anything to your favor. For Lever, Jean and I thought hard about what price to charge, and after checking out Kindle listings etc. decided to put it at $4.95. The print book is available for a little under $13. We could have charged a dollar, but figured this was selling myself short -- after all I worked darned hard to get it finished! "You may choose, on a per title basis, to have us apply DRM (Digital Rights Management) technology which is intended to inhibit unauthorized access to or copying of digital content files for titles. Once your title is published, this setting cannot be changed." OK. I googled DRM with Kindle and think that, in the real world, this means that with DRM your book can be downloaded only a small number of times, or (if DRM is disabled) that it can be repeatedly transferred ad infinitum, for example when the purchaser adds a new device to his account, or (gasp!) he transfers the book to a friend's Kindle. I decided not to enable DRM, since I figure it's to my advantage to not frustrate people, and also to have as many people and devices read Lever as possible -- a little towards Kremer's view, in which he sees obscurity more of a danger that theft. If God Loves Everyone, Where Does That Leave Me? This article is by M. Blaine Smith, and reprinted by permission from HERE. It raises an interesting question: If God loves EVERYONE, can He see me as an individual? Although I had never heard it expressed this way before, I realized immediately that Nancy had her point. Our manner of talking about God can imply that there’s no distinctiveness in a relationship with him. We speak of him loving everyone, and loving them equally, impartially, the same way. While the thought of God’s love being so inclusive is deeply comforting to some, others fear their individuality will be lost if they allow him to have much influence in their life. We long for distinctiveness as human creatures--probably more than anything. We each want to know that we’re originals among the mass of humanity and not copies. We crave assurance that we’re unmatched by anyone else who has walked this earth, that we may know there is justification to our existence. This urge for distinctiveness touches us on two levels. We long, on the one hand, to know that our work and accomplishment are unique--that we’re able to contribute something to human life that no one else can. But we also yearn for distinctiveness in relationships. Much of the thrill of being loved and cherished by someone is the sense of being special that goes along with it. You know that you’re accepted for who you are, and esteemed in a way that’s different from that person’s affection for anyone else. Yet if God loves everyone in an equal, unbiased fashion, how can there be anything distinctive about a relationship with him? What’s so novel about receiving his love? What possibility for creative accomplishment is there in living for him? You’re simply one of the mass of believers, responding to a vast cosmic love force. Nancy had put her finger on why it is that some people, though convinced that a loving God exists--perhaps even that he has revealed himself in Christ--still fail to give their life to him. It would mean losing their individuality, and entering a life of clonely conformity with others who have joined the Christian movement. Nancy’s struggle also highlights why some believers actually bail out of their Christian walk. The chaplain of a large Christian university agreed with me, for instance, that the major reason some students on Christian campuses abandon their faith is that they see little distinctive about being Christian. On the secular campus, one may enjoy a cherished sense of rebellion by following Christ. At the Christian college, by contrast, everyone around you is a believer. If a student assumes that God loves him and his classmates all identically and has similar intentions for their lives, he may reach the fateful conclusion: individuality can only be found outside of a relationship with Christ. Nancy, however, was no longer inclined to think of God and the Christian life this way. Her concept of God had grown and changed substantially, and she now viewed him much more personally than she first implied. “I’ve finally come to realize that God does love me differently from any other person,” she continued. “I don’t mean that he loves me any more than anyone else, but distinctively. I’m convinced there is a portion of his love that is meant for me and for me alone.” She went on to explain that this insight had been the turning point for her, allowing her to enter a meaningful relationship with Christ. The thought of God’s love being distinctive was revolutionary to me. But the more I’ve reflected on it, the more I’ve become convinced that this is exactly the outlook Scripture presents. God is pictured as one who loves each person equally, perfectly, completely, yet still in a fashion unique to that individual. There is a measure of his love meant for each of us alone. On five occasions in his Gospel, for instance, John refers to himself as the disciple “whom Jesus loved” (Jn 13:23, 19:26, 20:2, 21:7, 21:20). John clearly didn’t mean that Jesus loved him more than anyone else. He notes that Jesus also loved Mary, Martha and Lazarus (Jn 11:5, 36), and all of his disciples (Jn 13:1). In his most far reaching statements, John quotes Jesus as saying that anyone who follows him will be loved by God (Jn 14:21), and that God through Christ loves the world (Jn 3:16). Why, then, did John call himself the disciple whom Jesus loved? I believe he meant that Jesus’ love for him, while not exclusive, nor greater than his love for anyone else, was distinctive. Christ loved him in a way unique from his affection for any other person! John surely would have thought it appropriate for Peter or any other disciple to make this claim. By the same token, it’s one that each of us who follows Christ can make for ourselves. The remarkable freedom John felt to refer to himself in this way suggests that we should think of ourselves likewise. “I am the disciple whom Jesus loves.” Such a conviction isn’t egotistical, but central to our self-image as Christians. We can barely begin to fathom this dimension of God’s love. It is a deep mystery. But we can realize some of its implications. For one thing, it gives us a basis for accepting our own distinctiveness. An important way that God shows his love for us is through the unique manner in which he creates and guides our lives (Ps 139, 1 Cor 12). While it is a lifetime task to fully understand the gifts and plans God has for each of us, we have a theological basis for taking that responsibility seriously, and for getting beyond any idea that the Christian life must be conformist. God’s distinctive love is also shown in how he nurtures and matures us, with a different pattern of growth for each of our lives. It may seem you’re not moving at a snail’s pace in some area where others are growing by leaps and bounds. Your friend has a devotional time for an hour every morning, while you struggle to concentrate for fifteen minutes. But other areas of growth come surprisingly quickly for you. You quickly overcome an addictive habit; you find an ability to share your faith that is out of all proportion with your shyness. It can be so tempting to compare yourself with others at points of strength and weakness. Yet such comparisons are always meaningless. Even the person whom you most admire as a pinnacle of spiritual strength has plenty of vulnerable points. The fact that God loves us distinctively inspires us also to accept the uniqueness he has given to other believers. And it saves us from thinking that we have to leave the Christian environment in order to salvage our individuality. The student on a Christian campus can know that while she shares something similar and vital with those around her, Christ’s relationship with her and his plan for her life are unique, as is true for each of her classmates. She can esteem her fellow students as individuals, and feel great freedom to be herself--where she is. You and I should reflect often on God’s distinctive for us, and what it means for the life he has called us to live. Appreciating this aspect of God’s love will enrich our relationship with him in endless ways, and strengthen our ability to love others with the affection of Christ. Following are a few writing contests with deadlines next month. I'm thinking about entering one or more -- not to win necessarily, but simply because having a goal is a great motivator! Basically entering gives your manuscript an opportunity to 1) receive professional feedback; and 2) be seen by agents and editors in the biz, which may give you a step up in the field. If you want to enter, make sure that you read all of the pages on the site pertaining to the contest, and follow instructions carefully. And if you enter, good luck! • Category (series) romantic mystery/suspense: any manuscript that fits into series romance as published by Harlequin, Silhouette, etc. • Historical romantic mystery/suspense: any manuscript set in a time that predatesWorld War II. • Inspirational romantic mystery/suspense: any manuscript in which religious or spiritual beliefs form a significant part of the story. • Mainstream mystery/suspense: any manuscript where the mystery/suspense is the main plot: may or may not contain elements of romance. • Paranormal/time travel/futuristic romantic mystery/suspense: any paranormal manuscript with elements of romance. • Single Title romantic mystery/suspense: any manuscript where the romance is the main plot but which contains elements of mystery/suspense. This is sponsored by the Inspirational Outreach chapter of the RWA, and features two contests: one for published and one for unpublished writers. • Short Contemporary (40,000-75,000 words) Inspirational fiction where the love story is the main focus of the novel. • Long Contemporary (more than 75,000 words) Inspirational fiction where the love story is the main focus of the novel. • Short Historical (40,000-75,000) Inspirational novels or sagas set in an historical time period in which the love story is the main focus of the novel. • Long Historical (more than 75,000) Inspirational novels or sagas set in an historical time period in which the love story is the main focus of the novel. • Romantic Suspense (over 40,000 words) Inspirational fiction where a suspense plot is blended with a love story. • Women's Fiction (over 40,000 words) Inspirational fiction not belonging in another category that contains a strong romantic element, such that one or more romances contained in the story form an integral part of the story's structure, but in which other themes or stories may also be significantly developed. The romantic elements, while not the primary focus of the story, should be an integral and dynamic part of the plot or subplot. • Novella (18,000 to 40,000 words) Short pieces of Inspirational fiction that have a strong romantic theme throughout. This is sponsored by the American Christian Fiction Writers, and is for unpublished writers. My sister used to live in Alaska, and she said a snowfall like this might be somewhat commented upon, like a heavy rainstorm, but they don't really notice anything until about six feet fall. The drivers of heavy trucks just go through the roads, pushing snow down for the smaller vehicles. Well, it was definitely dramatic further south! We're all cozy in the house with plenty of food and heating oil. The power didn't go out; neither did the roof spring a leak, so we're good. Too deep for sledding, but the kiddos have fun trekking through the deep snow. * Q. Define the first person. A. Adam. * Punctuate means to make a hole in the tyre of a bicycle. * Metaphor: a thing you shout through. * Simile: a picturesque way of saying what you really mean, such as calling your mother an old trout. * The feminine of Bull: Mrs Bull. * The parts of speech: lungs and air. * Verb: something to eat. * Adverb: The horses run fastly. This is an adverb. * Abstract noun: something you can’t see when you are looking at it. * Abstract noun: the name of something which has no existence, as goodness. * Abstract noun: something we can think of but cannot feel — as a red-hot poker. * Example of a collective noun: a flock of cattle. * Example of a collective noun: a garbage can. * Conjunction: the place where 2 railway lines meet. * Imperfect tense: used in France to express a future action in past time which does not take place at all. * All sentences are either simple or confound. * Passive voice: Q. Correct the sentence — “It was me that has broken the window”. A. “It wasn’t me that has broken the window”. * Spelling (an English teacher’s comment on a student’s essay): A dictionery would solve your spelling problems. Here's another song that showcases what *America* looks like. Here's an email I received that I thought was interesting. I love the wasp spray at the bottom! 3. Love those flowers. That tells me you have taste ... and taste means there are nice things inside. Those yard toys your kids leave out always make me wonder what type of gaming system they have. 5. If it snows while you're out of town, get a neighbor to create car and foot tracks into the house. Virgin drifts in the driveway are a dead giveaway. 6. If decorative glass is part of your front entrance, don't let your alarm company install the control pad where I can see if it's set. That makes it too easy. 7. A good security company alarms the window over the sink. And the windows on the second floor, which often access the master bedroom-and your jewelry. It's not a bad idea to put motion detectors up there too. 8. It's raining, you're fumbling with your umbrella, and you forget to lock your door-understandable. But understand this: I don't take a day off because of bad weather. 10. Do you really think I won't look in your sock drawer? I always check dresser drawers, the bedside table, and the medicine cabinet. 11. Helpful hint: I almost never go into kids' rooms. 12. You're right: I won't have enough time to break into that safe where you keep your valuables. But if it's not bolted down, I'll take it with me. 3. I'll break a window to get in, even if it makes a little noise. If your neighbor hears one loud sound, he'll stop what he's doing and wait to hear it again. If he doesn't hear it again, he'll just go back to what he was doing. It's human nature. 4. I'm not complaining, but why would you pay all that money for a fancy alarm system and leave your house without setting it? 5. I love looking in your windows. I'm looking for signs that you're home, and for flat screen TVs or gaming systems I'd like. I'll drive or walk through your neighborhood at night, before you close the blinds, just to pick my targets. 6. Avoid announcing your vacation on your Facebook page. It's easier than you think to look up your address. Security consultant Chris McGoey, who runs crimedoctor.com; and Richard T. Wright, a criminology professor at the University of Missouri-St. Louis, who interviewed 105 burglars for his book Burglars on the Job. The wasp spray, they told her, can shoot up to twenty feet away and is a lot more accurate, while with the pepper spray, they have to get too close to you and could overpower you. The wasp spray temporarily blinds an attacker until they get to the hospital for an antidote. She keeps a can on her desk in the office and it doesn't attract attention from people like a can of pepper spray would. She also keeps one nearby at home for home protection... Thought this was interesting and might be of use. Val Glinka teaches self-defense to students at Sylvania Southview High School . For decades, he's suggested putting a can of wasp and hornet spray near your door or bed. Glinka considers it inexpensive, easy to find, and more effective than mace or pepper spray. The cans typically shoot 20 to 30 feet; so if someone tries to break into your home, Glinka says, "spray the culprit in the eyes". It's a tip he's given to students for decades. It's also one he wants everyone to hear. If you're looking for protection, Glinka says look to the spray. "That's going to give you a chance to call the police; maybe get out." Maybe even save a life. As writers we all deal with it. Here are some tips first posted by Merlin HERE. Do something important that’s very easy - Is there a small part of your project you could ﬁnish quickly that would move things forward? Try freewriting - Sit down and write anything for an arbitrary period of time—say, 10 minutes to start. Don’t stop, no matter what. Cover the monitor with a manila folder if you have to. Keep writing, even if you know what you’re typing is gibberish, full of misspellings, and grammatically psychopathic. Get your hand moving and your brain will think it’s writing. Which it is. See? Quit beating yourself up - You can’t create when you feel whipped. Stop visualizing catastrophes, and focus on positive outcomes. Listen to new music - Try something instrumental and rhythmic that you’ve never heard before. Put it on repeat, then stop ﬁddling with iTunes until your draft is done. Write junk - Accept that your ﬁrst draft will stink, and just go with it. Finish something. Unplug the router - Metaﬁlter and Boing Boing aren’t helping you right now. Turn off the Interweb and close every application you don’t need. Consider creating a new user account on your computer with none of your familiar apps or conﬁgurations. Do one chore - Sweep the ﬂoor or take out the recycling. Try something lightly physical to remind you that you know how to do things. Work on the title - Quickly make up ﬁve distinctly different titles. Meditate on them. What bugs you about the one you like least? Write ﬁve words - Literally. Put ﬁve completley random words on a piece of paper. Write ﬁve more words. Try a sentence. Could be about anything. A block ends when you start making words on a page. I love how this video simply explains the idea of "grace." I'd guess that the idea of ultimate judgement is so frightening that everyone has to find a way to deal with this: God doesn't exist, or good deeds outweigh bad ones, or we'll all get to the good place eventually. Christianity is the only belief system that states that we CAN'T be good enough to be acceptable by God, who is unimaginably Holy and righteous. Instead, God who is also Love provided a sacrifice, Jesus, whose perfect nature in God allowed his willing death to be sufficient to redeem those who admit they are irredeemably sinful and who wish to accept his substitution. As a skeptic, I studied the historic circumstances surrounding the death of Jesus, and was blown away by the meticulous evidence supporting that Jesus had, in fact, risen from the dead. You can read about some of my reasoning HERE that describes my year-long investigation. At the end I bowed my head and became a Christian.